Andy Heyward’s three-decade career in animation has taken him from the Hanna-Barbera writers’ room to his new toon business, A Squared Entertainment. The producer tells Jesse Whittock about the challenges facing the industry. The Flintstones, Scooby-Doo, The Jetsons, The Real Ghost Busters, Inspector Gadget, Where on Earth is Carmen Sandiego?, Sabrina: The Animated Series… All are considered classic TV cartoons and all have one name in common: Andy Heyward. As the son of comedy writer and Hollywood studio exec Louis ‘Deke’ Heyward, the younger Heyward was born into animation production. By the late 1970s he was an established writer on The Flintstones and other Hanna-Barbera toons of the mid to late 20th century. In 1982, he created DIC Entertainment after leading an MBO of France’s DIC Audiovisual and went on to develop and executive produce Inspector Gadget, the comic CBS series about a dim-witted cyborg detective. 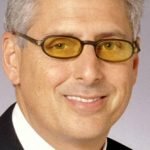 He believes that the husband-and-wife combo provides a “package of complementary skills,” with his background in production combined with Moynihan’s career in media marketing. Her credits include launching Disney’s cruise liner business and a spell as McDonald’s global director of marketing. 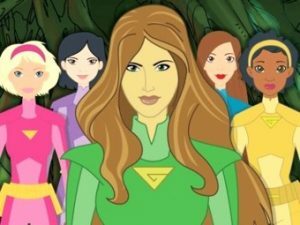 Among A2’s productions are Gisele & the Green Team, an environmental-themed series for kids that features model Gisele Bündchen and airs on Cartoon Network in Brazil; and multi-platform series Secret Millionaires Club, which is fronted by an animated version of entrepreneur Warren Buffet and teaches children financial and business literacy. “All you have to do is look in the newspaper and you can see how desperately we need this for our youth today,” says Heyward. The company is also working on a science-focused show based on light bulb inventor Thomas Edison, again mixing education with humour. “Comedy is the tool used throughout to make these shows engaging for kids,” he explains. It’s not all been plain sailing, however. A planned animated action series with former governor of California and actor Arnold Schwarzenegger, The Governator, didn’t materialise (or, to use a more apt word, was ‘terminated‘). Despite Arnie’s heavily promoted appearance at MipTV 2011, press revelations about an affair with his former housemaid and an illegitimate son saw the show shelved. There are no plans to revive the project, “but you never say never,” says Heyward. The Governator represents one of very few failures in Heyward’s long career. Having produced more than 3,000 hours of animated programming, he says the key to success is simple: the storytelling. He thinks The Simpsons is the “gold standard” of modern animation and that “most of the stuff you see on the kids’ channels is pretty good from a comedy point of view.” SpongeBob SquarePants is among his favourites. Heyward believes some modern producers sometimes rely on style over substance and, besides The Simpsons, doesn’t keep tabs on what’s happening in the primetime toon space, as he’s not keen on the scripts. “At the end of the day, it comes down to storytelling. You have to have better words coming out the mouths of your characters than the words of the characters next door to you. A2’s latest move is one that represents a wider trend in animation production: the rise of Indian media groups in Western toon production. In December, the firm partnered with Tata Elxsi, the technology arm of Indian industry giant Tata Group, to form globally focused joint venture A Squared Elxsi Entertainment (A2E2). A2E2 will develop, produce and distribute new cartoons out of Tata’s Visual Computing Labs production studio in Mumbai, India, with Heyward and Moynihan working from the other end on the West Coast in the US. Former KidsCo and Disney Channels Worldwide chief Paul Robinson joined before MipTV as president of A Squared Elxsi International, A2E2’s newly launched global arm, which will focus on expansion outside the US, where it has been based to this point. Linking up with Tata is just one method A2 is using to get ahead in the children’s market, but familiar problems remain. “One challenge that exists today – and this goes for almost every production company apart from Disney, which is vertically integrated – is that there’s a very short window of development and production. When you sell a show, you have to get it developed and on-air,” says Heyward. He notes that when producing Sabrina: The Animated Series for Disney-backed network ABC between 1999 and 2001, he was allowed to redraft scripts “seven, eight or nine times” if necessary, “and if they didn’t like where it was we’d go to the 10th. You can’t do that today unless you have your own channels. And compromise is not something that comes naturally. Although international coproduction is often the only way to finance a show, Heyward sees it as a hindrance to achieving the best product. “Personally, I think coproduction is very, very challenging. By trying to invent something by committee, you inevitably get to something that’s washed out. You can’t engineer creativity that way,” he says. Among A2’s digital shows are Martha & Friends, a 26-episode online series for AOLKids that features a 10-year-old version of American lifestyle guru Martha Stewart; and Super Seven (aka Mighty 7), a multi-platform property featuring comic book legend Stan Lee that’s been two years in development. Gaming and digital are also key elements of the A2E2 initiative. The uptake of tablets is growing among all consumer demographics and other phenomena, such as social gaming, are emerging (Facebook’s recently announced IPO revealed FarmVille owner Zynga accounted for 12%, or US$445m, of the site’s total revenues in 2011). This makes it increasingly difficult for entertainment production companies to identify which trend to follow. So does the amassed wisdom of nearly four decades in children’s entertainment give Heyward any insights? Alternative answers on a digital e-card please. Gisele & the Green Team, Inspector Gadget, Martha & Friends, Sabrina: The Animated Series, Scooby-Doo, SpongeBob SquarePants, Super Seven, The Flintstones, The Governator, The Jetsons, The Real Ghost Busters, Where on Earth is Carmen Sandiego?